Send a Message of Hope and Love this Holiday Season! 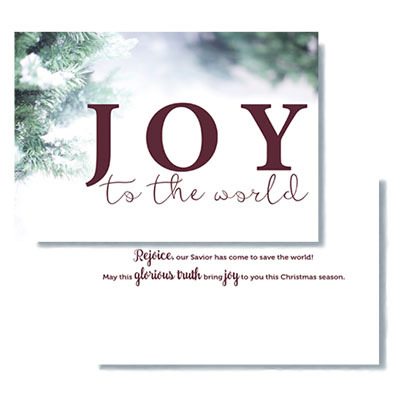 Our beautiful, Scripture-based Christmas cards quote Luke 1:14 and allow you to give a free, one-year gift subscription to Israel My Glory magazine. Inside Message: Rejoice, our Savior has come to save the world! May this glorious truth bring joy to you this Christmas season. 20 cards and envelopes, plus 20 one-year trial subscription cards to Israel My Glory magazine.